Distinctive wines and food, served with local charm. Nestled in the rolling hills overlooking Cazenovia Lake, Owera Vineyards is simply a great place to relax and unwind. When you arrive at Owera, you’ll be greeted by a beautiful pastoral scene of apple trees, ponds, grapevines and a sustainable vegetable and herb garden. Once inside, you’ll be welcomed by warm wood finishes crafted by local company Cazenovia Cut Block, and the comfortable seating of our tasting room and gourmet café. Settle into the tasting room to relax and enjoy our award winning wines. The gourmet café is perfect for an evening out or an afternoon lunch and features brick-oven pizzas, soups, salads and a variety of small plates and artisanal boards. The café menu utilizes ingredients grown on our farm. Feel free to take a stroll on our 57-acre property and let your stress fall away. The lower vineyard features our Frontenac Gris while the upper vineyard features our newly planted LaCrescent and Frontenac cold hardy varietals. Enjoy a peaceful moment in the garden and make sure to stop by our Event Facility to visualize any special events that may be up and coming. 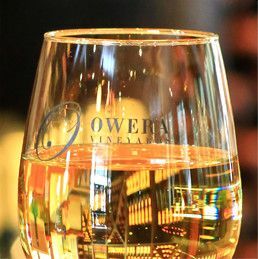 While award winning wines and gourmet food are why many people choose Owera to connect with friends and family, it’s the atmosphere and experience that keeps people coming back. 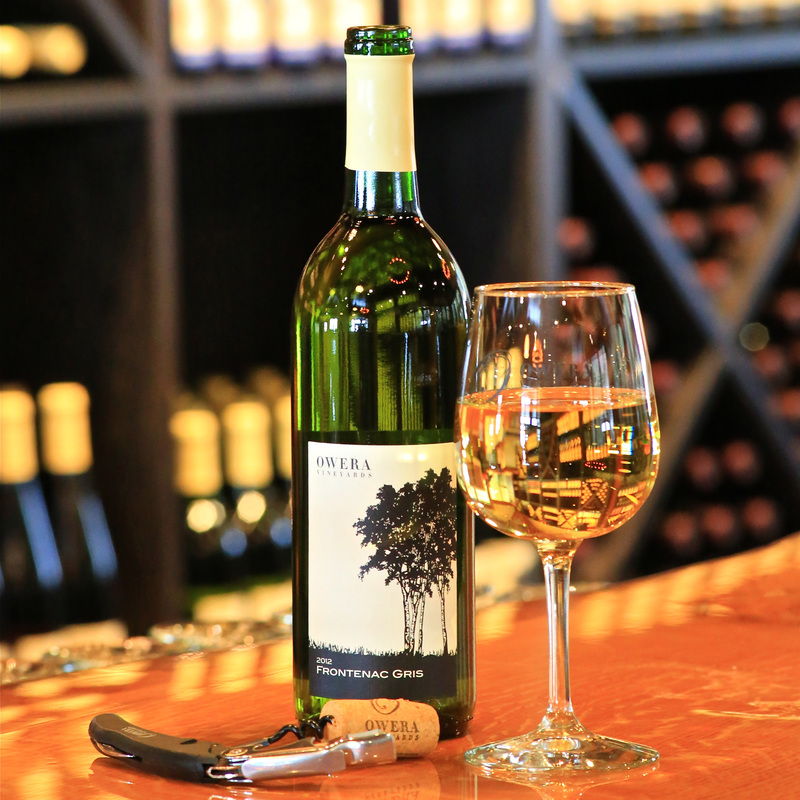 Discover why wine is family at Owera Vineyards. 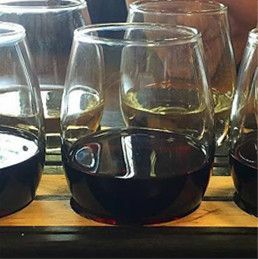 All tastings include a complimentary sample of our featured wine, which rotates monthly. Choose any three tastes from our featured wines. Choose any five tastes from our featured wines. Includes an Owera tasting glass. All of our menu items are made fresh to order with the finest ingredients. Additional seasonal offerings and specials may also be available. Arugula with artichokes, walnuts, pea shoots and parmesan cheese, topped with a lemon olive oil dressing. 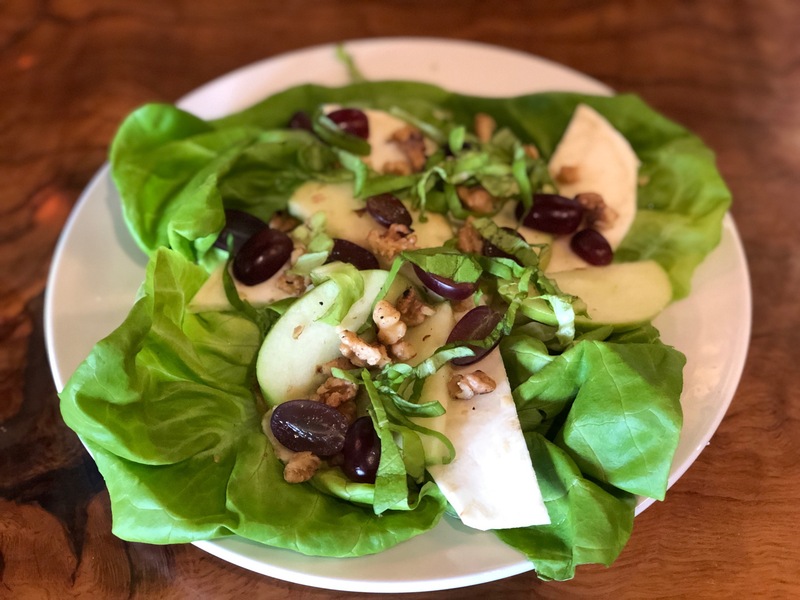 Boston Greens with green apples, walnuts, grapes and celery root with Waldorf style dressing. Arugula and tomatoes drizzled with olive oil, salt and pepper, topped with shaved parmesan cheese. Owera wine, beef stock, caramelized onions, avocado and crostini; gratinéed with Swiss and provolone cheeses. 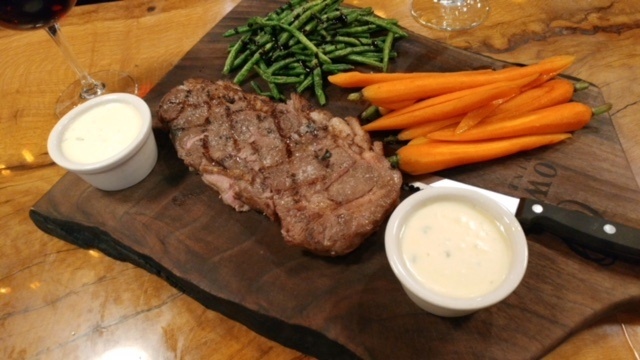 Choose steak, chicken al mattone or cedar planked salmon accompanied by season vegetables, chef’s choice. Single sized portions now available in addition to our sharable size. Add a side dish for an additional price. House-made hummus & tzatziki, marinated olives and artichokes, roasted red peppers, cucumbers and tandoori naan. A variety of local and imported artisanal cheeses, mixed honey nuts, Owera ice wine jelly and accompaniments. Smoked and cured sausages, hams and rillettes with local pickles, served with Owera Chardonnay mustard. Cracked pepper, herbs and spices. Lightly fried cabbage chips tossed with caraway seed and salt, served with dill yogurt. An array of spring vegetables mixed with goat cheese and served with a bread boule. Two steamed artichokes served with a lemon butter sauce for dipping. Our ribs are marinated for 24 hours in a Bulgogi marinade, slow cooked for 8 hours, then grilled with Korean barbeque sauce. Eight deviled eggs served with bacon bits, shredded extra mature cheddar cheese and confetti peppers on the side to make your own deviled egg. Maryland-style Peekytoe crab meat and shrimp, pan-fried and served wtih ginger lime sauce. A whole fried chicken served with honey lime sriracha sauce, otherwise known as “CFC”. Live Maine lobster meat with lobster butter on a six inch grilled brioche bun, served with crispy potato flats. 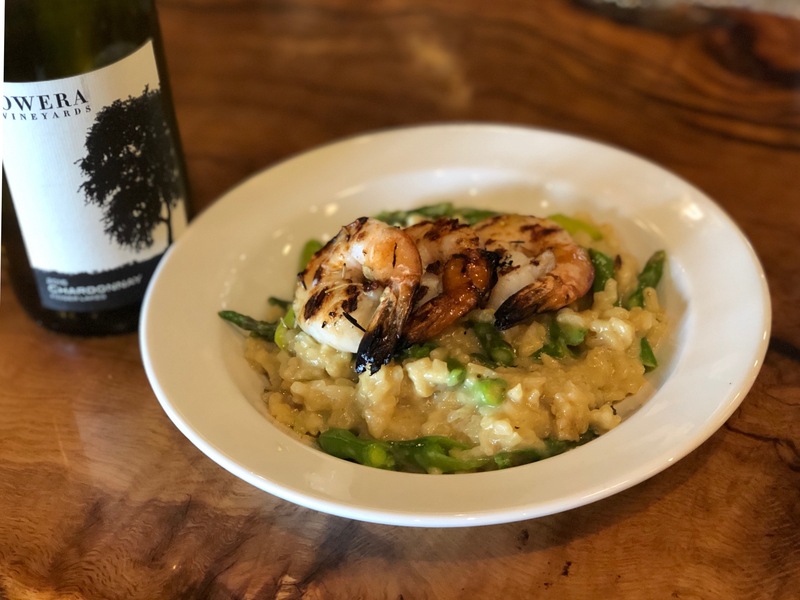 Creamy risotto with grilled shrimp, lemon, anise liqueur and seasonal vegetables. Pan-seared scallops with a spring pea puree and spring shoots. Red sauce, fresh mozzarella, pepperoni; topped with prosciutto. 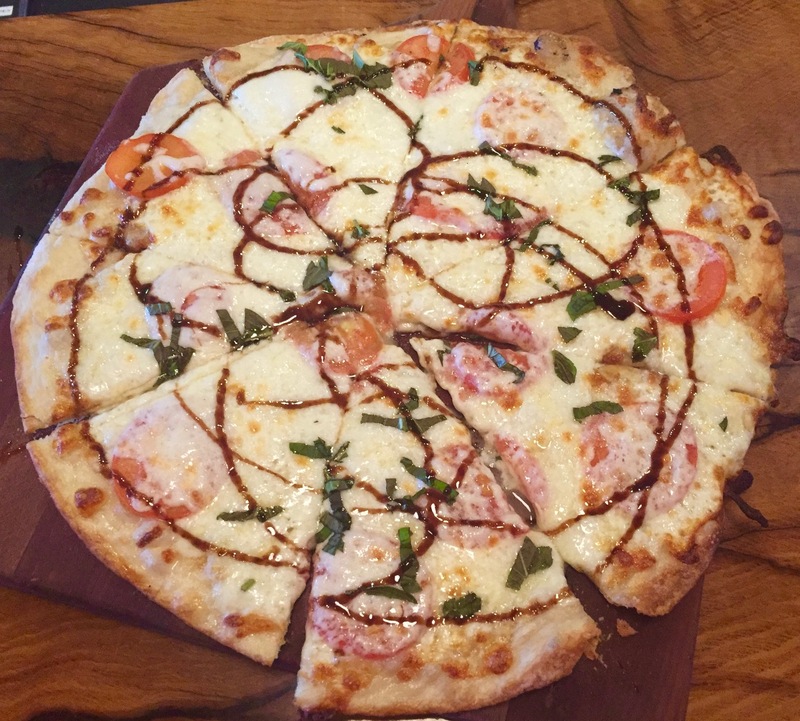 Olive oil, fresh tomatoes, fresh mozzarella, pink sea salt; topped with basil and balsamic glaze. House-made roasted garlic confit, fresh mozzarella, caramelized onions; topped with parmesan and fresh ground pepper. Olive oil, fire-roasted red peppers, smoked gouda, fresh mozzarella, artichoke hearts, sea salt; topped with fresh cracker pepper. House-made basil pesto with fresh tomatoes and mozzarella; topped with parmesan. House-made roasted garlic confit, red sauce, mozzarella, Owera beef meatballs; topped with parmesan cheese, red pepper flakes and arugula. A fine assortment of light almond meringue pastel macarons that represent an array of flavors. A vanilla bean creme brulee custard with Madagascar vanilla pods folded into a cheesecake batter (gluten free). Layered lemon cake with luscious lemon mousseline and Meyer lemon curd. A stacked strawberry and vanilla cake speckled with ripe strawberry pieces, topped with a strawberry cream cheese icing and tangy yogurt crumbles. 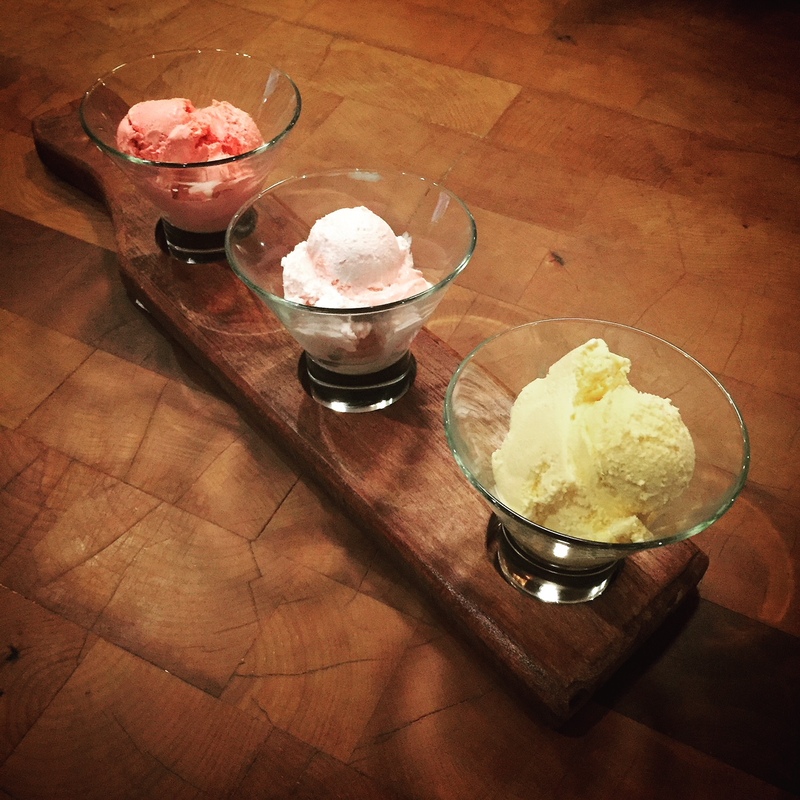 A generous scoop of Owera’s own wine ice cream served in a flight. Choose three of the following flavors or try all four for an additional price: Frontenac Gris – Marvelous Mango Cazenovia Blush – Rich Raspberry Cherry Valley Red – Charming Cherry Cazenovia 1793 – Classic Chocolate, Port-style *NOTE – To purchase a pint or consume a scoop of alcohol-infused ice cream, one must be 21 years old. Owera’s wine ice cream contains up to 3% ABV per serving, which is one scoop. A simple yet refreshing citrus sorbet featuring Owera’s Dry Riesling. A great palette cleanser!